All shape characteristics and behaviors can be easily configured with a minimum technical knowledge. This description is dynamically interpreted to materialize the workbench within the Eclipse IDE. No code generation is involved, the specifier of the workbench can have instant feedback while adapting the description. 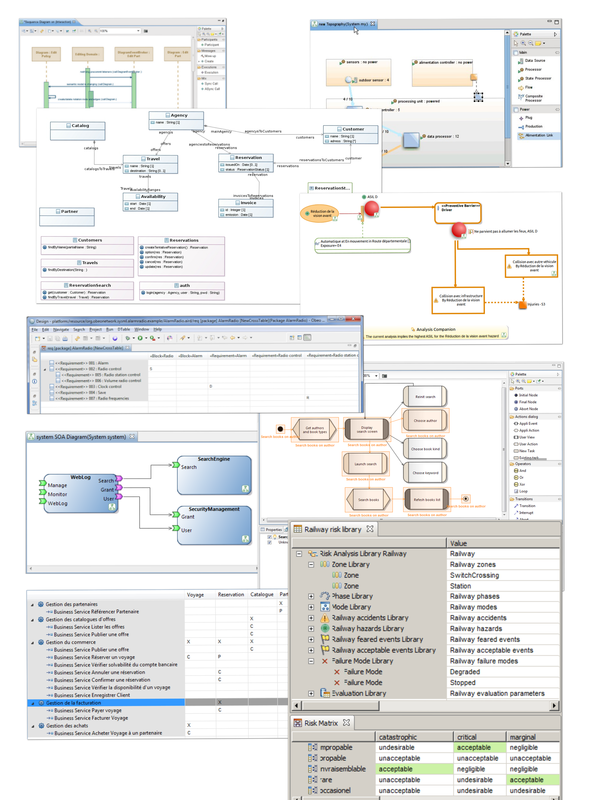 Once completed, the modeling workbench can be deployed as a standard Eclipse plugin. Thanks to this short feedback loop a workbench or its specialization can be created in a matter of hours.